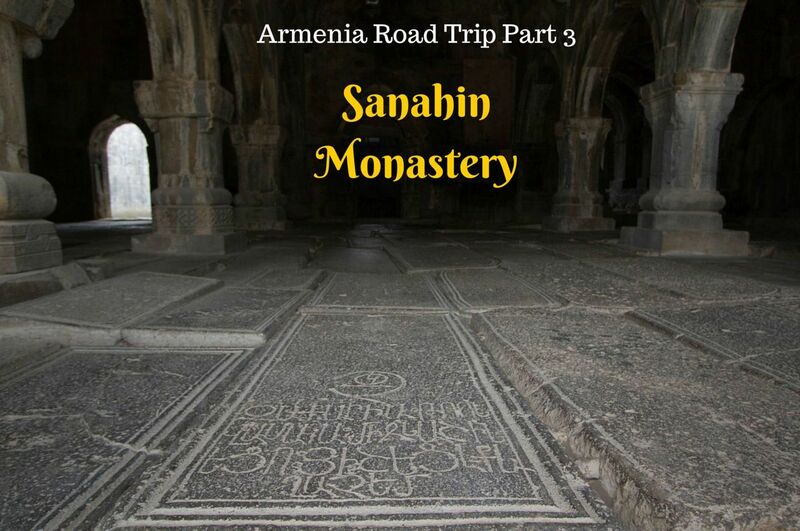 Don’t forget to check out Part 2 and Part 3 of our Road Trip – Armenia mini-series! “Armenia is at war!” These are the words we heard when picking up our rental car from the only agency we could find that would allow us to drive across the border from Georgia. “But you will be fine as long as you don’t take the first border crossing. Also, you can call me if you have any trouble.” This from the 22 year old guy who takes care of the car, not the paperwork, and will also drive you anywhere you want to go…the rental driver. We chuckled and said “thanks,” not thinking we’d need him but getting all the phone numbers we could…just in case. 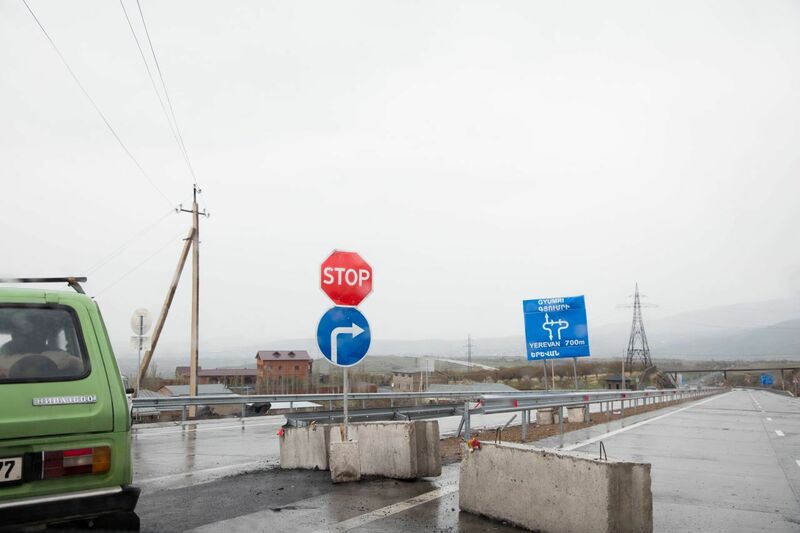 It’s true that Armenia’s border dispute with Azerbaijan had once again reared its ugly head. We didn’t see or hear much about it, though, except on TV in Yerevan where there was a newsreel about the current status. A young female reporter had gone up to one of the border patrol camps and was interviewing the troops. They were all smiles and sharing their barbecue lamb with her. I’m not sure, but it didn’t seem likely to spread past the current skirmish area. Leaving the urban center of Tbilisi mid-day, as we couldn’t pick up our rental car until 11:00, we were immediately plunged into crowded two lane highways with shops, garages, and administrative buildings pushing right up to the curbs. Traffic which consisted of everything from humongous tractor trailers moving slowly but persistently through the throng, to smaller less-maintained utility trucks spurting out clouds of carbon and diesel fumes to old, boxy Ladas that trundled along oblivious to everything and everyone, we saw just about every kind of transportation, with a noticeable lack of motor bikes…thankfully. At any rate, driving in Georgia requires time. Even though it is only 111 kilometers to Guguti, our planned border crossing, it took over 2 hours. This is partly due to traffic, the small roads, and, as we entered the southern part of highway 6, the twenty kilometer new road construction project. It was with a feeling of relief that we drove up to the border control, which unsurprisingly had absolutely no lines and even with all the paperwork for the rental car, we sailed through in about 30 minutes. Expecting the Armenian roads to be in worse condition, we were more than pleasantly surprised when we had about a thirty kilometer stretch of pristine tarmac. Too bad it didn’t last. After that initial entry and few kilometers the roads got significantly poorer. 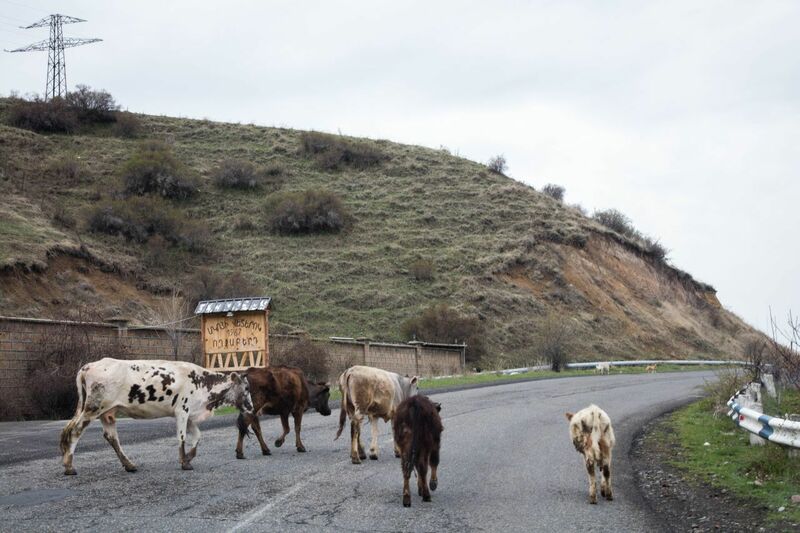 There are not that many highways, so the majority of our ride to Yerevan was quite easy until we got to the outskirts of the city. We entered a larger highway via an on-ramp, but the direction we needed to go was blocked. On top of that, there was an accident right at the end of the ramp, which somehow was around the other lane of traffic going the opposite way. We had to enter the road and drive down it a few minutes until we could find a turn-around and head the correct way into the city. I had never seen anything like it at all before, very confusing. Driving within the city is just like driving in any other city, if you don’t know the next thing you need to do to prepare for it, you might be in trouble. That’s what our trusty phone GPS is for…cities. We arrived at our beautiful little boutique hotel and relaxed a little before we hit the streets. Our hotel was not right downtown; it was about a 20 minute walk, well 20 minutes when you are taking lots of photos, so not too bad. We do love driving, and make sure to check out the bring what you need on any road trip by checking out this packing list, so you can do it, too! Yervan is a nice, clean, and modern city. After driving through such depressed towns and villages, we were not sure what to expect. We were pleasantly surprised. We walked by the opera, a glitzy new mall full of imports and restaurants, and on to Republic Square a massive space squared in by beautiful buildings, fountains, and lots of people just hanging around and playing with their kids. It was a really warm day, and it seemed everyone had an ice cream. On we walked trying to find a restaurant that Jim had decided on. He doesn’t like to walk by and look anymore. It’s all about the reviews. It’s served us well, though, and I can’t think of a bad meal we’ve had thanks to his diligence, but sometimes I would just like to walk and choose. We were hungry. We skipped lunch, because we had planned to eat as soon as we entered the country stopping at the first Armenian town. We could not find one restaurant or cafe, not one. Instead we stopped at a shop and bought a candy bar and a coke, but it had been hours so I was definitely starting to get cranky. I saw this restaurant, called Kavkazskaya Plennitsa that looked good enough even though all we could see from the street was the lobby. We walked in and were greeted in Russian. Hmmm. The restaurant was downstairs, so we had to talk to the hostess who grunted when we told her we didn’t have a reservation. She had us wait for ten minutes and then we were finally allowed down into the surprisingly crowded and bustling dining room and shown to a table. The menu was full of food from Armenia, Georgia, and yes, Russia. We were really excited to try the stuffed grape leaves, Tolma, and along with everything we tried, they were delicious. After driving all day, being bounced around potholes and such, and then walking around the town for an hour our muscles were screaming; so off we went back to our hotel. We’ve got to get to that part of the world, potholes or no. Eastern Europe is just so inviting, and daunting at the same time. Soon. Tom, I love traveling in Eastern Europe because it feels different. You definitely know when you are crossing borders, trying to navigate especially with signs in Cyrillic script, or really when you do anything. It feels like travel. I hope you do make it there soon. More, more, I want to hear more! The photos really brought it all back to me. 🙂 Republic Square looks EXACTLY the same as when we lived there. So glad you made it, despite our delay in getting back to you with advice/help. Looks like you did just fine without us. Anne, No worries. 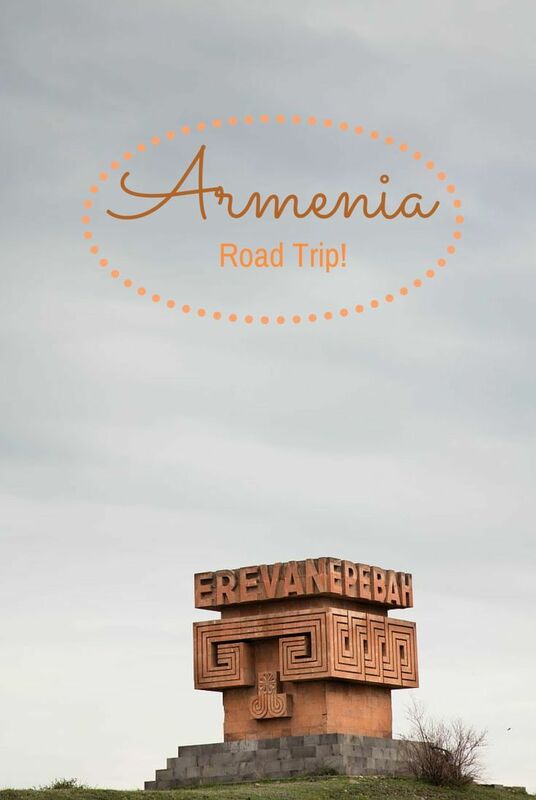 We loved our short little trip into Armenia. We’re already talking about “next time!” And don’t worry, more photos to come. Awesome, I’m heading to Yerevan tomorrow from Tbilisi, was hoping to see Karabakh too but not too sure about the current ‘war’! Richard, we ran into a family in Tbilisi that was touring Armenia and only came to Georgia because they couldn’t get to Karabakh. Not sure what the situation is this week. Have a great trip! You’re right, Sophie. The driving in Tbilisi was the worst, especially during rush hour on a Friday! But it was doable, and outside of the city the driving was easier. 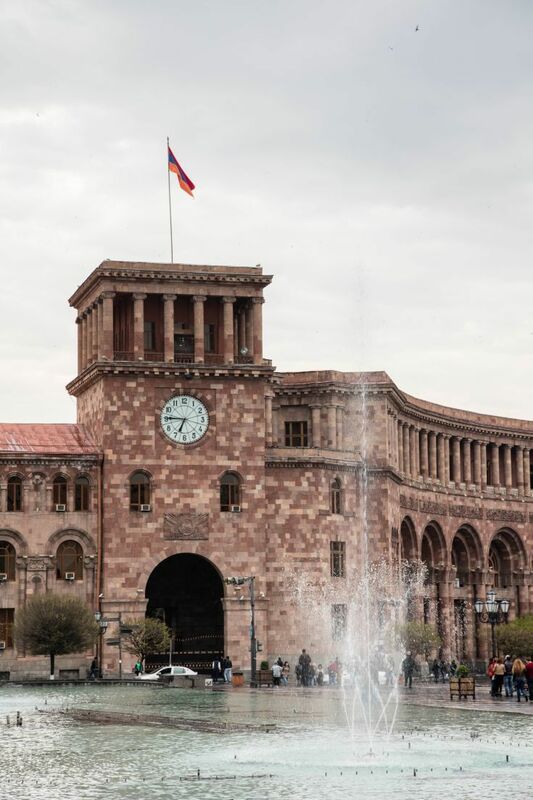 Yerevan was more orderly and the driving in Armenia tended to be easier even though the roads were much worse. 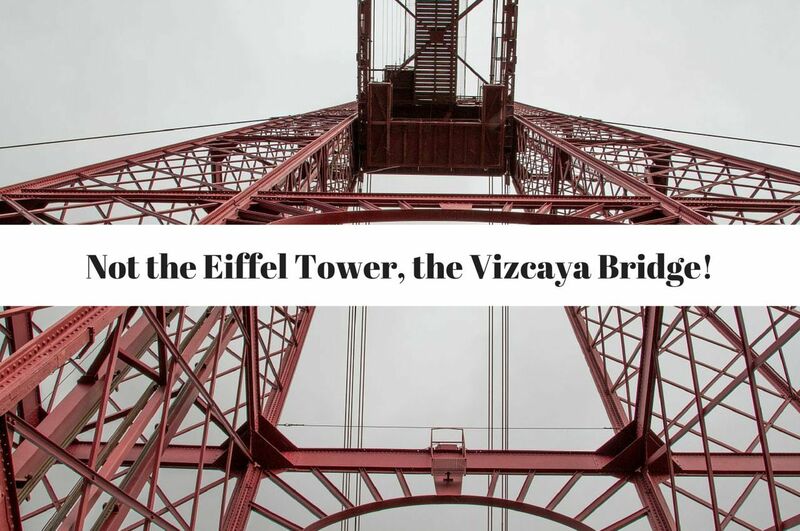 The most exposure I’ve had to this part of the world is a relative who lived in Azerbaijan – his travel tales were fascinating. And I find this post fascinating. So interesting and different from where I have traveled. 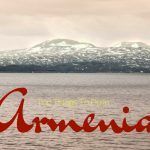 Really enjoyed reading about Armenia. Jill, Azerbaijan is still on the list. We have heard good things about Baku especially. Would you travel there? So many beautiful and fascinating things to see! Thank you so much for sharing. Linda, It is a beautiful country. 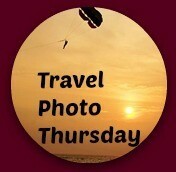 We only scratched the surface on this trip and are hoping to return and do more. Juergen, You are spot on! Everything is one color, everything! Armenia looks kind of depressive, Corinne. 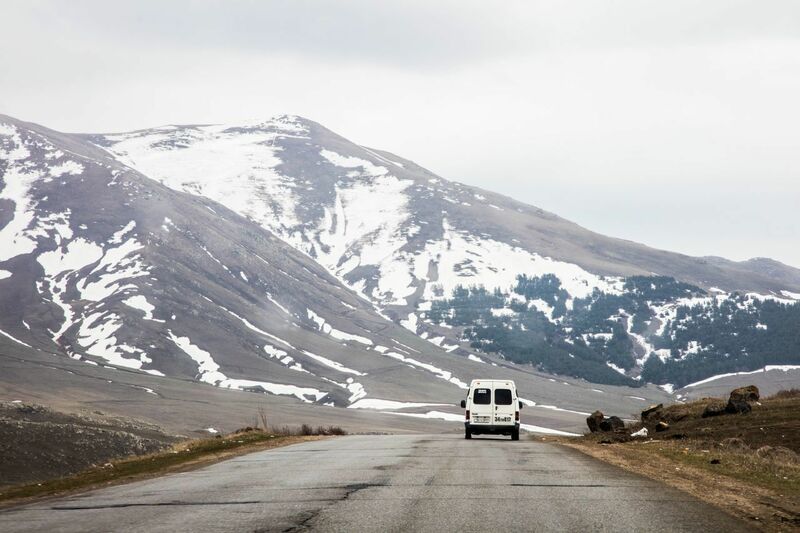 Poor roads, not much color… What made you want to take this road trip? Anda, Because I like to go everywhere. I like traveling in countries that are vastly different than what I’m used to. I just do. So want to get to Armenia. What an adventure! Looking forward to reading more. Heather, We loved our few days in Armenia. I hope you get there soon. How interesting. I’m off to read your Part 2 and 3 posts now. Jan, Part 2 is written. 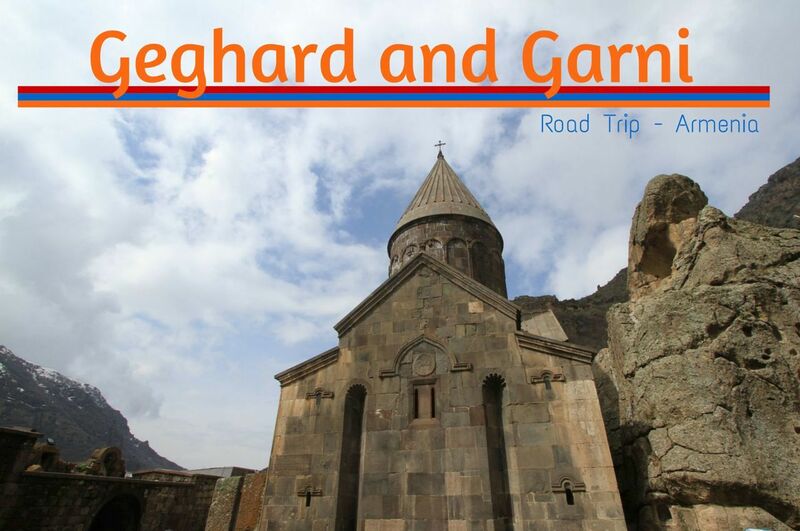 It’s called Geghard and Garni, but you are right. Part 3 still needs to be written! Ha Ha, OK they’re not written yet lol. We really had a great time in Armenia. I love dealing with a language barrier. You guys are very brave souls. I am scared to drive in Los Angeles (the fear is real), so, imagine if I try to drive in a country like Armenia. For some reason, I cannot avoid potholes. 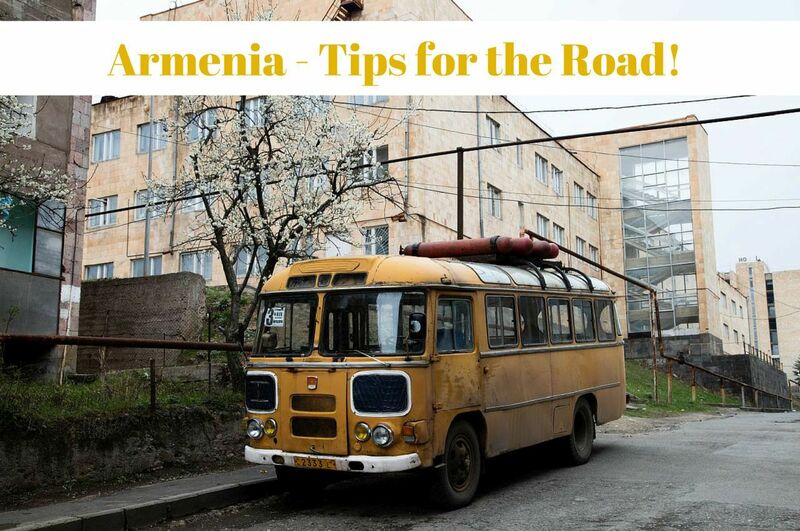 Ruth, Armenia was not that hard to drive in, just different. The potholes could not be avoided, but that’s what you have to do because they are huge! Thanks, Nancie. It was an amazing trip.